You have your graduation cap and gown at the ready – waiting for the moment your name is announced in the ethers. Even though you probably expect someone other than you to determine when you are ready to graduate from your current earth class, you determine when such is so. For you are the creator of your life. But know that you are indeed graduating for the next class is ready to start their last shift/transition before following you to new frequencies and Universes. Perhaps you question the wisdom of allowing you to determine when you graduate. What indicators will you bestow upon yourself to KNOW without a doubt that you have completed all you need to complete? What if you flounder hither and yon waiting for THAT moment and that moment never arrives? Or you miss that moment somehow? Such is not possible. Just as was true in your former earth life, whether the stars and bells rang when you graduated from one class or phase of life to another or not, you knew for your life changed as a result. As a youth, you were larger and smarter than was true when you started a particular class. And as a young adult, graduation meant a different life than was true before. Even though you might not have attended graduation ceremonies, you knew that a new phase in your life had begun. So it is now. You might or might not feel a bit different. You might or might not know you are in a new phase. But you will begin to note such by your new interests and skills. One day, you might automatically channel; note something out of the corner of your eye; communicate with others without words; find yourself in a historical period as an actor instead of an observer or within a different culture on a different plane or planet – or whatever. Your graduation opens you to thousands of possibilities that you will hone down to that which is of the greatest interest and joy to you. Just as was true for you as you searched for a job after earth high school or college graduation. Thousands of possibilities were narrowed by the community in which you wished to live, the salary you could accept, the tasks that seemed most interesting, etc. So it will be for you now. 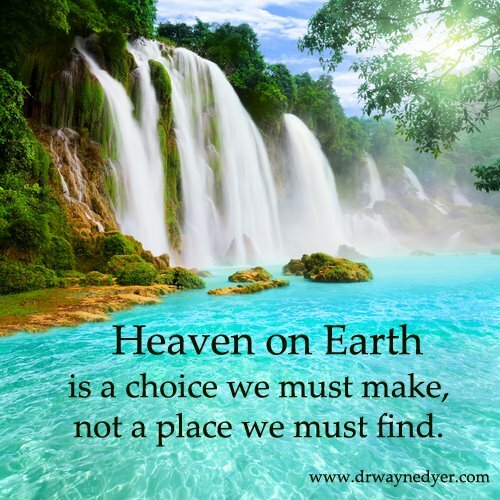 You will process your earth graduation for a bit, begin your search for your perfect fit and then you will CREATE it. There will be no slackers. There will be no one left behind to flounder. You are all capable of creating the non-earth pieces correct for you. In truth, you will create rather than adapt to what is already there. For you are new beings with new creation skills. Granted, you have been of the Universes since inception. But the earth project you completed with such beauty and skill will catapult you to new experiences beyond any other being in the Universes. You are creators extraordinaire. Do not doubt yourself, your being or your future in this physical body. You will remain of earth. But your skills will ascend beyond anything that was of earth or the Universes. For you helped create earth and, as a result, you are pulling the Universes to new dimensions and creations. Many of you are crying foul for you believe you are just you of earth and nothing more. Such is not true as you will soon discover. For now, know that you are indeed a creator extraordinaire. You, for the first time ever while of earth, combined your segments so that you would knowingly be of earth while creating the next glorious phase of your being in the ethers. And that as you progress beyond your earth being emphasis, others are moving into that phase so that they can follow you into the ethers. One group at a time. You are scout masters/Wayshowers for every group that follows. Courageous, innovative, creative souls all. So be it. Amen. 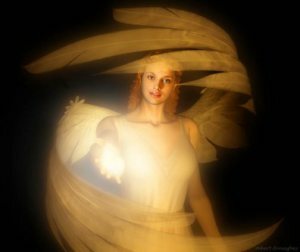 Alia’s Comments: Some of us may feel a stronger connection with the angelic realm than other but all of us in the awakening community can relate to the angelic quality of the service that we came here to do. This message caught my attention, because it speaks about fulfilling a “security blanket dream” as a way of demonstrating to ourselves (Earth Angels) that we have actually transited to a new place within our beings. We are now capable of creating joyously the dreams of our hearts that only a short while ago still eluded our abilities. For me — looking at returning to my home country after living abroad for a year and a half — this looks like establishing a new home base. And the long-held dream of my heart is to create a community of spiritually-guided people who would like to co-create joyously with me. Alia’s Comments: I found this post by Brenda Hoffman very useful in helping me to identify a couple of new skills that I have begun developing with JOY. One is telepathy. Actually, Tomas and I are practicing this together — making each other aware of when the other person has just spoken the very thoughts or words that we had just thought. The other morning, I had a tune running about in my head and all at once Tomas began humming it! I wondered if he had been singing it before and I had picked up on it but when I checked with him, he said no, he had just spontaneously begun to hum that tune for no reason he could think of. The second skill set that I am playing with is more of a remembrance of a modality of healing whereby I allow the energy of Love to flow through my body and come through my hands into Tomas’ body. We’ve been practicing this skill with each other too — giving healing massages and energy work to each other as needed. We’re having fun with both skills. Enjoy Brenda’s message and give some thought to the skills that you may be remembering and developing. I’m looking forward to the appearance of levitation myself. Anti-gravity inner tech — Yeah! Alia’s Comments: Many versions of “radical shifts” have come to my attention via the internet recently, so I was not surprised to see this week’s message from Brenda Hoffman sporting this title. What did surprise me was the stated immediacy of the shift and the personal nature of it. So I’m passing this along for those to whom it may apply NOW and the rest of you can file it away for “future reference.” Apparently, there are some who will be the “advanced guard” (guinea pigs) and other who will follow the trails blazed by the forerunners — so forewarned is forearmed, as the saying goes.